Choosing where to stay in Florence can be difficult because there is so much to see around the city. Luckily, because the city is so compact, no matter which neighborhood you choose to stay, you'll probably be within walking distance to most other sights. 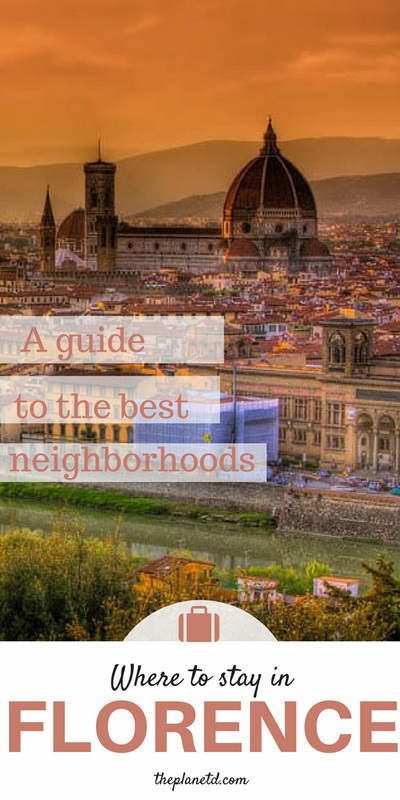 If you want to skip directly to any of the neighbourhoods in Florence, click on the links below. The Duomo/Piazza della Signoria – Central, touristy, museum hub, historical, where you’ll find all of the major sights in Florence. San Lorenzo/Santa Maria Novella – Mix between chaotic and peaceful, colorful, good shopping, central transit hub, family-friendly. Santa Croce – Popular neighborhood with more of a local feel than the Duomo area, good restaurants, stunning architecture, lively at night. Sant'Ambrogio – Student-life, good bar scene, and historic Jewish part of the city. Oltrarno – Across the Arno River, artisans’ neighborhood, used to be a working class neighborhood, now it’s chic, artsy, and bohemian. 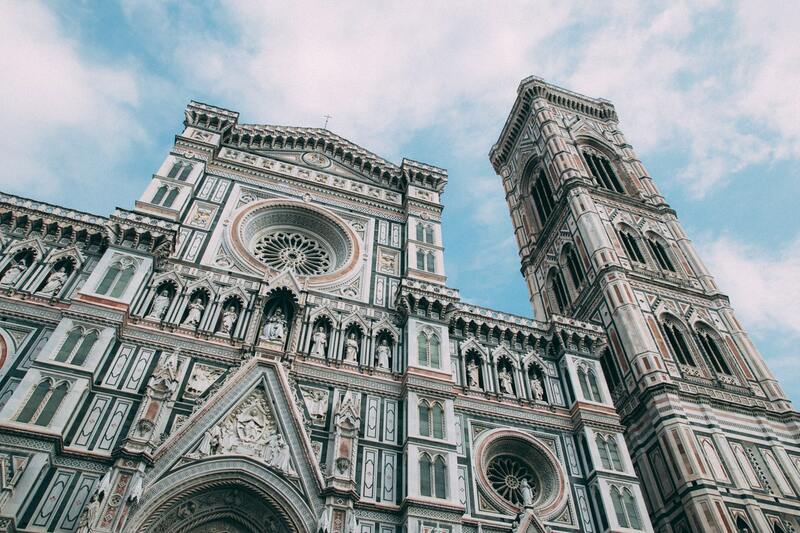 Travel writer Mimi McFadden shares her knowledge about one of her favorite cities in the world and her love for Italian culture to give you a detailed look at the most popular neighborhoods in Florence. Plus insider tips on interesting things to see and do in this Renaissance city. Besides walking, options to get around will mostly be by bus, but there is also one tramline that runs through the city. You can buy a Unica Toscana card at authorized ticket points. You can purchase and reload Unica Toscana cards at ATAF Points, Ticket Points, or from over 1,000 authorized dealers around the city (here). You can also find automatic ticket machines at stations, universities and hospitals (here) or T1 tram stops (here). Tip: If you’re using the pre-paid Unica Toscana card, it’s €1.50 for 90 minutes of travel. Make sure to validate your trip as soon as you get on. On-board bus tickets cost €2.50 for 90 minutes of travel but drivers don’t always have tickets on them and they’re not required to give you back change. Firenze Card - This is a 72-hour tourist card that gets you into all of the main attractions, and if you add 5 euros you can have unlimited travel on ATAF buses during the time the card is active. Purchase the Firenze Card online here or buy one in person at the InfoPoint across from Piazza della Stazione 4. For more information on ticket prices and transit timetables, you can find the AFAF website here. You can also download their app to map out more specific routes and see live bus arrival times. There are numerous neighborhoods in Florence, but since the city is so compact most of them are within walking distance from one another - including all of the ones on this list. 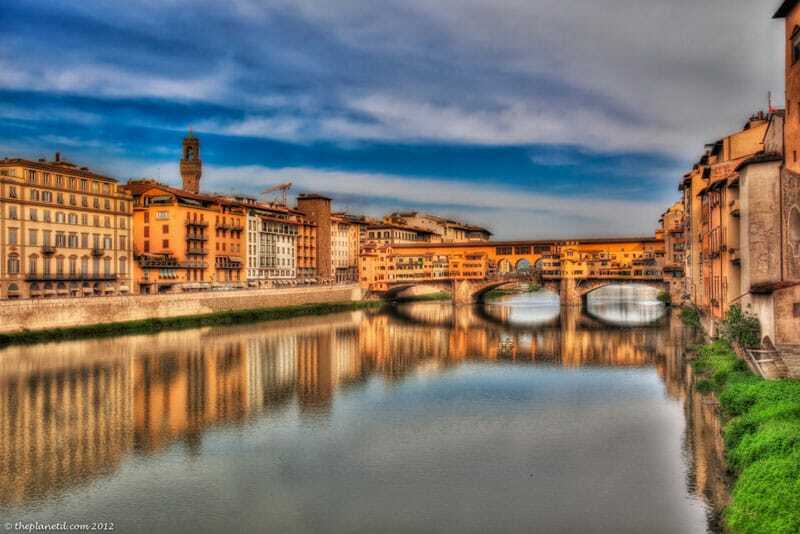 Generally, the more central and historic part of the city is the most crowded and touristy, with more local neighborhoods located on the outskirts of this area, or across the Arno River. Florence is known as one of the most romantic cities in Italy. 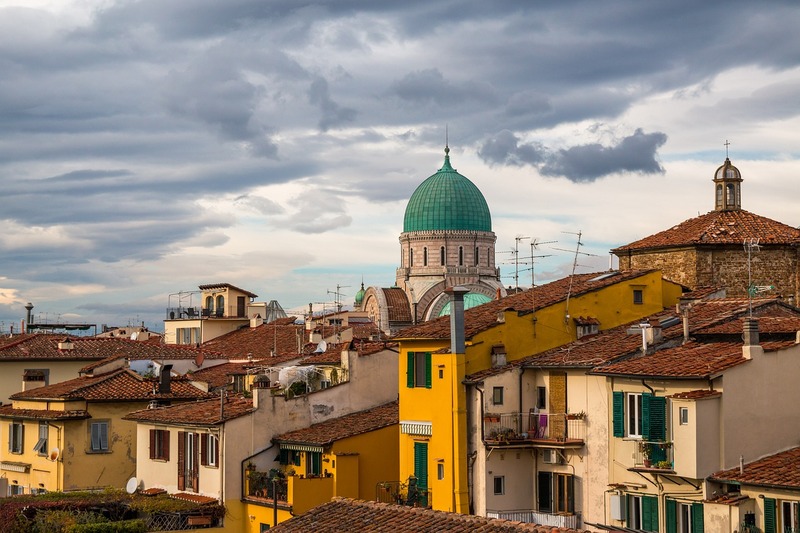 It’s full of culture, famous sights, and a layered history that includes being the birthplace of the Renaissance and ties to the powerful Medici family. The city is small enough to walk from one end to the other within about 30 minutes but has enough attractions, breathtaking views, and famous sights to make sure you’re never bored. In fact, you might not even know where to start with how many options there are for things to do around the city. You will feel the welcoming atmosphere of the city as soon as you arrive to Giotto's Campanile and taste your first chilled Pinot Grigio. The rapid-fire Italian, Vespas speeding by, and the smells of Florentine cuisine as you pass traditional trattorias only add to its charm. Florence is on the Euro - $1 USD = €0.88 - For up to date conversions get the XE Currency Converter App. Florence has a relatively mild climate, but being situated in a valley means its temperatures vary more than other parts of Tuscany. The summer months are humid, with the heat generally lasting through the night to create warm summer evenings. August is generally when the city is at its hottest and when the crowds are at their worst. This is when most locals leave for holidays and close up shop. Summers usually hover around 25-30 C, although it’s not unusual for temperatures to get past 30 C in August. Winter temperatures average out to about 10 C, or as low as 5 C if it’s a particularly cold season. The rainiest month is usually November, with December, March, and April also getting a decent amount of precipitation. The most pleasant time to visit Florence for the best weather and less tourists is in the spring and fall, around May or September/October. Drive your own stylish vintage Vespa through Tuscany, just as the locals do, on this 4-hour small-group tour from Florence! You can learn a lot about Florence simply by getting lost in its maze-like cobblestone streets because the city is basically a free museum in itself with centuries-old architecture and art around every corner. Florence has a way of disarming even the most cynical traveler. The city will surprise you and remind you to appreciate la bella vita, even through the swarms of tourists and humidity that come through the city in the summer months. Whether you spend your time in the bustling central neighborhoods, or choose a more laidback experience across the river in the Oltrarno district, there’s a little something for everyone in Florence. Here are a few recommended neighborhoods that you could base yourself in, depending on what type of experience you’re looking for in this Tuscan gem. If you want to be in the middle of the action and surrounded by all of the sights. The Duomo and Piazza della Signoria neighborhoods are some of the busiest and most touristy areas of the city, but they’re also where you’ll find the bulk of the most popular tourist attractions. The Duomo is as central as it gets. In Florence, they say that every good night starts on the step of the Duomo, and during the day this area is just as vibrant and energetic. Just a few minutes walk away, the Piazza della Signoria boasts a plethora of world-renowned museums and cobblestone streets near the Ponte Vecchio. These neighborhoods are popular for a reason, they’re historic, beautiful, and offer a lot to see for a first-time visitor. Staying in this area might be more overwhelming in the summer months when hoards of tourists arrive in Florence, but if you want to easily walk to the major sights from your hotel, this is the best neighborhood to base yourself in. One of the top-rated luxury 5-star stays in Florence. 15th-century building with rooms featuriung antique furniture and Murano glass chandeliers. Minutes from the major sites. Family-run hotel dating back to the 19th century and featuring antique decor and frescoes. Stay includes a continental breakfast, around the corner from the Duomo. An affordable stay for its central location next to Piazza della Signoria square and the Uffizi Gallery. Rooms feature wooden furnishings and a mix of modern and historic design in an informal setting. Ponte Vecchio Bridge - The famous medieval and ornate bridge in Florence that goes over the Arno River. You can still find shops and merchants along the bridge, like you could when it was first built centuries ago. Palazzo Vecchio - Town hall of Florence since the Medieval era, located in Piazza della Signoria. In front, you’ll find a copy of Michelangelo’s David, and inside you can explore the museum of secret passages and ornate rooms. Piazza della Signoria - Main square in Florence that has been the center of political and social life in the city since the 14th century. It’s also where a number of important events have taken place, including the Inquisition burning heretics at the stake and the return of the Medici in the 16th century. Giotto’s Campanile - Also in the Piazza del Duomo, you’ll find this 85m tower looking down on the city from its historic perch. It’s another spot to hike up to the top for a great view, especially if you want the Duomo in your pictures. The Duomo - Also known as "Cathedral of Santa Maria del Fiore", the Duomo is the most popular and central site in Florence. Buy tickets online ahead of time to avoid the crowds, and hike up to the top for stunning views over the city. Uffizi Gallery - 2-hour prioroty entrance tour to one of the most visited art museums in the world. 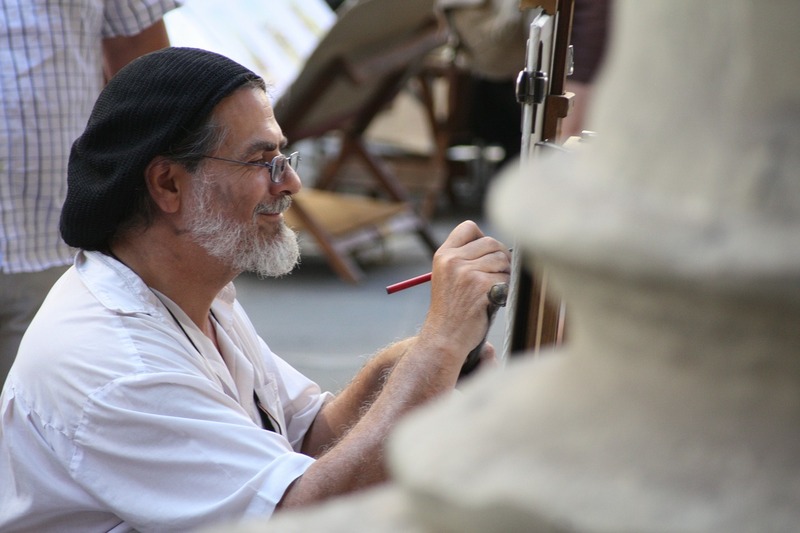 Where you can find famous works by Botticelli, Michelangelo, Da Vinci, Raphael, Giotto, and Rembrandt. Florence Free Walking Tour - In one of the more expensive cities in Europe, it’s great to be able to have the option for a free tour (or at least donation-based). This tour takes you around to the main landmarks over the course of 2.5 hours. Museo dell’Opera - Where you can find many of the original works of art that were created for the Duomo. There are over 750 pieces of art spanning 720 years of history, including masterpieces from Arnolfo, Ghiberti, Donatello, Luca della Robbia, Antonio Pollaiolo, Verrocchio, and Michelangelo. Museo Galileo - One of the largest collections of scientific instruments in the world. Bargello National Museum - A former prison and residence of the head of police that has been converted into an art museum. Here you will find a variety of impressive Renaissance sculptures from Donatello, Luca della Robbia, and Michelangelo. Florence Baptistery - Built in 1128, making it one of the oldest buildings in the city, this octagonal religious monument stands near the Duomo and is known for its three sets of bronze doors that were designed by famous Italian artists, Pisano and Ghiberti. Palazzo Strozzi - 15th-century palace originally built as a political statement for Filippo Strozzi the Elder, a rival of the Medici family. Besides a tour of the elaborate grounds, you can also find rotating art exhibitions throughout the year. Mercato Nuovo & Il Porcellino - Touristy market in the center of Florence that sells a variety of items, especially souvenirs. Where you will find the Fontana del Porcellino or the bronze statue of a wild boar. Legend says that if you rub its snout you will return to Florence. Santo Stefano al Ponte - 12th-century Romanesque style church that houses artwork from Giotto, Rosselli, and other talented Italian artists. Near the Ponte Vecchio. Loggia dei Lanzi - What was once a place where public ceremonies were held in 14th century Florence, is now an open-air museum showcasing various antique and Renaissance art sculptures. Completely free and attached to the Uffizi Gallery. The Piazza della Repubblica - A historic square that was the site of the city’s forum. It's a good place to grab an espresso at a cafe - Giubbe Rosse Cafe specifically has been a meeting place for famous artists and writers for over a century, although it has become quite touristy in recent years. The easiest and quickest way to get to the compact historical center of Florence is by foot, however there are a couple of buses that will take you there as well. Take the C1 or C2 bus to be dropped off at either the Duomo or Piazza della Signoria. For more information, go to the AFAF website for updated costs and schedules. For good food, shopping, and a combination of chaotic and peaceful streets. Chaotic and colorful San Lorenzo is the main shopping area of Florence, with the outdoor San Lorenzo Market and the multi-level Central Market. But it’s not just shopping that you’ll find here, there are also quite a few options to try authentic local specialties within the busy streets to get your fill of Tuscan cuisine. One of the most popular sights in this neighborhood is the Medici Chapel, where the most famous members of the Medici family are buried. It’s a good place to learn about a family that shaped so much of Italian history and art during the Renaissance era. Right next door and on the other side of the spectrum, Santa Maria Novella is a quiet neighborhood that is ideal for families and those looking for a more relaxing stay in the center of the city. These neighborhoods are close to the train station, so they’re a perfect jumping off point for day trips to other parts of Tuscany and Italy if you have more time in Florence. Elegant hotel that has a lot to offer. Pampering as well as a relaxing stay in a central location. Offers a wellness centre, lounge bar, and cathedral views in select rooms. Funky, modern hotel set in a historic part of the city. One of the most unique stays in Florence, with soundproof rooms, parquet floors, and a Mediterranean breakfast served until 12pm. Cozy option in the heart of the San Lorenzo district. Rooms have a desk, with some including a kitchenette. Continental or Italian breakfast served every morning. San Lorenzo Central Market - The busiest and most chaotic market in Florence. Where you’ll find a range of souvenirs, local goods, and fresh produce, meat, and street food. San Lorenzo Church - The first building in Florence that was built in the new Renaissance style, this church is also one of the largest ones to explore in the city. Laurentian Library - One of Michelangelo’s most impressive pieces of architecture, this historic library contains what is considered to be the most prestigious collection of antique books in Italy. Basilica di Santa Maria Novella - A 14th-century church that was the first great basilica in Florence. One of the most famous churches in the city and the principal Dominican church of Florence, located across from the train station. Giardino degli Orti Oricellari - Garden from the 15th century belonging to the Rucellai family. Said to be frequented by the most prominent Italian scholars and artists, including Machiavelli and even the Pope. Santa Maria Novella Pharmacy - Founded in 1221 by Dominican friars and opened to the public in 1612, this is the oldest pharmacy in the world and has a stunning interior filled with chandeliers and frescoes. 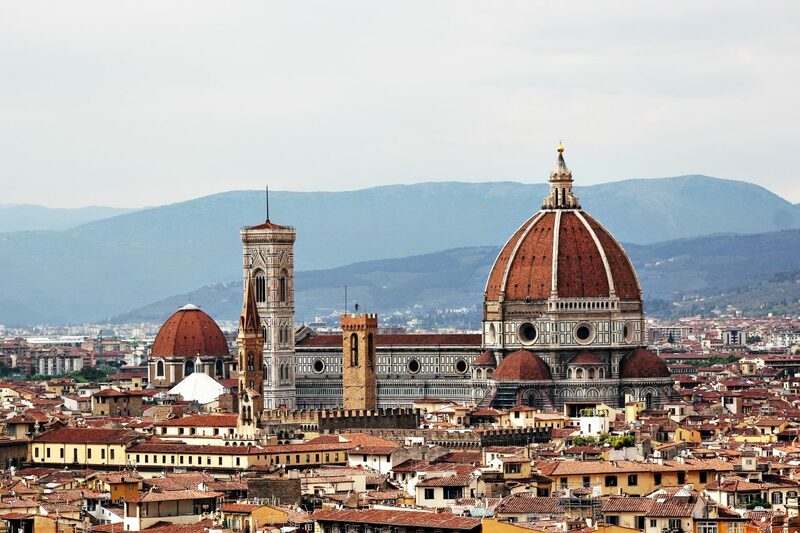 Florence the Medici Experience Tour - Skip the line and Visit the Palazzo Medici and discover family secrets, scandals and conspiracies while you retrace the footsteps of these famous figures. Cucina Lorenzo de’Medici (Cooking Class) - Enjoy an authentic hands-on-cooking class and learn how to make handmade pasta from a legitimate Italian cooking school. Medici Chapels Private tour - Designed by Michelangelo, this is the final resting place of the most famous members of the Medici family. A good place to understand more about this powerful family and the effect they had on Florence. Medici Dynasty Show - Watch an entertaining show that summarizes the life of the Medici family through costumed actors and video. The only English theater in the city. Being the main transportation hub of Florence, there are numerous options to get to and from the San Lorenzo and Santa Maria Novella areas. Take the C1 or C2 bus to get right to the heart of San Lorenzo, or buses 1, 2, 4, 6, 11, 12, 14, 17, 23, 52, 54, 81, 82 to be dropped off in and around the neighborhood. Take the 6, 11, 12, 36, or 37 bus to go directly to and from Santa Maria Novella Station, or buses C1, C2, D, 13, 17, 22, 23 to be dropped off nearby. You can also take the Florence T1 tram from Santa Maria Novella Station, as well as various regional and international trains. If you want a mix of local and touristic experiences in an energetic part of the city that comes alive at night. Similar to the Duomo and Piazza della Signoria, Santa Croce is also a busy area but slightly less touristy than the former neighborhoods. There’s a more local feel to this area while still being central and convenient to walk to. 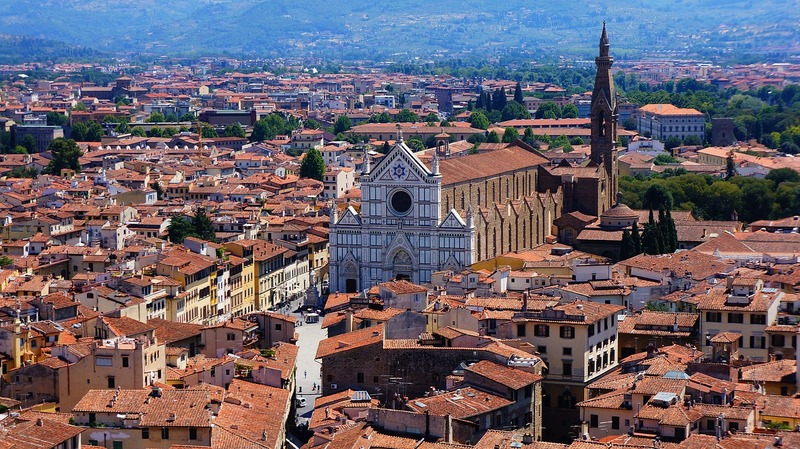 Santa Croce offers some of the best restaurants, architecture, and nightlife in the city. 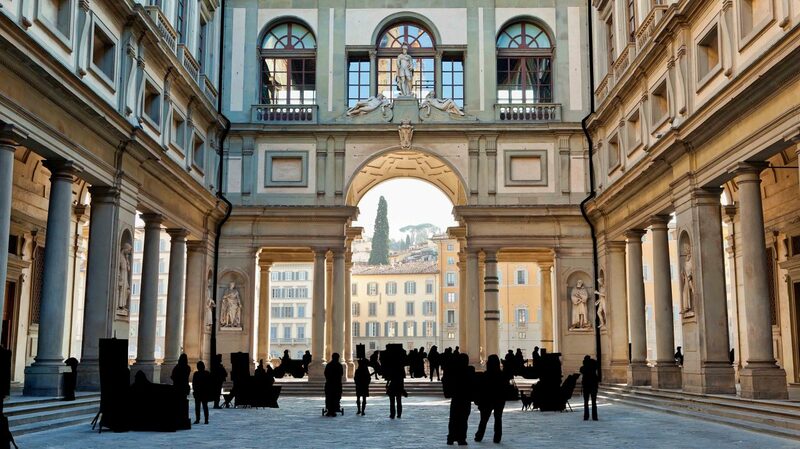 Whether you choose to spend you days people watching in Piazza Santa Croce, or wandering amongst the famous tombs of renowned Italians, this neighborhood has a lot going on. If you’re looking to be immersed in the busy and energetic atmosphere of Florentine culture, and want to have options for both tourists and locals, this is the best neighborhood to stay in. Not to mention, because it’s such a popular area, there are a variety of hotels for a wide-range of budgets. Secret Bakeries - All around Florence you’ll find ‘secret bakeries’ that open right as the bars close in the wee hours of the morning. Be polite, knock quietly, and quickly order your favorite pastry that probably just came out of the oven (ahem, Nutella croissant). It’s a Florence experience you can’t miss, but they’re not the easiest to find because there are usually no signs. You just have to follow your nose. The largest concentration of these bakeries are around Santa Croce area, one of the most popular ones being Pasticceria Vinci & Bongini. Good luck! Gelateria Vivoli - Everyone has there own opinion on where to find the best gelato in Florence, but Vivoli is a strong contender as a local favorite. Right around the corner from the Santa Croce Basilica. Luxurious and elegant bed & breakfast right next to Santa Croce Basilica, offering spacious rooms and free breakfast served daily. Select rooms feature a spa bath. Near Palazzo Vecchio, featuring an on-site restaurant and a beautiful terrace that looks over Bardini Garden. Room decor is handmade by specialized craftsmen to showcase Tuscan nature. Affordable and comfortable option in central Florence with personalized and friendly service. Italian buffet breakfast offered daily, most rooms feature a private balcony. Santa Croce Basilica - Not only one of the largest and most beautiful churches in Florence, but also where numerous famous Italians are buried - including Michelangelo, Galileo, Rossini, and Machiavelli. 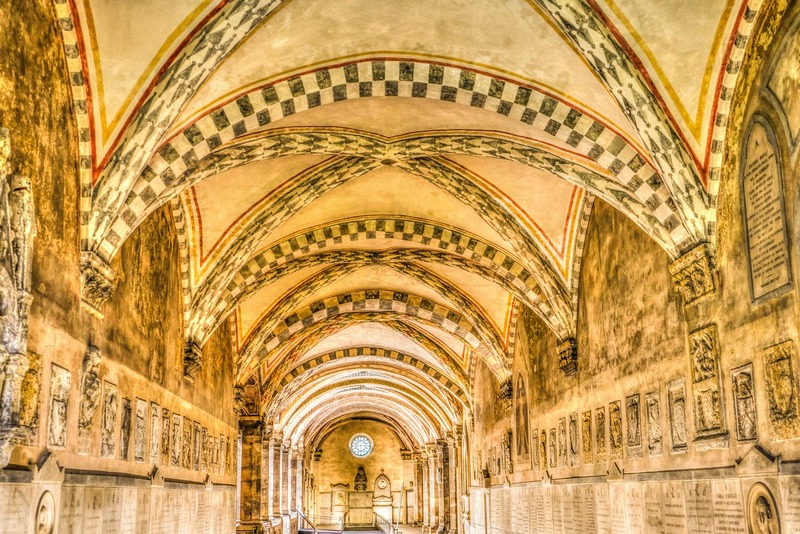 Don’t miss Brunelleschi’s Pazzi Chapel on the southern side of the basilica. Piazza Santa Croce - A busy city square, but slightly less so than Piazza della Signoria. This is the perfect place to people watch and take in the view of Santa Croce Basilica. Biblioteca Nazionale Centrale - Gifted to the city in 1714 by bibliophile Antonio Magliabechi, this is the largest public library in Italy for anyone who loves books and wants a quiet escape from the city. Scuola del Cuoio - The largest and most famous leather school in Florence, come here to learn more about the history of leather in the city and why it has been such an important trade item throughout the years. Also, around the school is a good area to buy quality leather goods. German Market - In December, Piazza Santa Croce is taken over by the largest winter market in all of Tuscany where you can shop and eat to your heart’s delight. Florence Bike Tour - An easy, laidback 2.5-hour bike tour to show you some of Florence’s hidden gems, starting with the Santa Croce area. 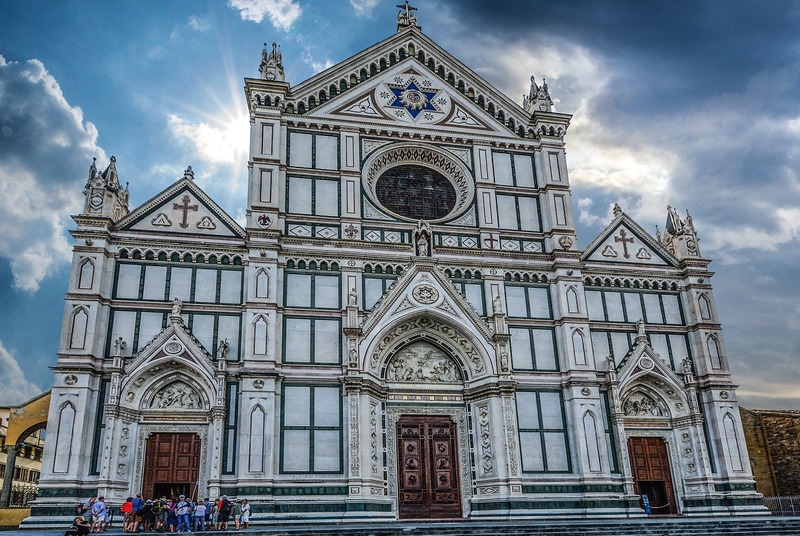 Santa Croce Self-Guided Walking Tour - For the independent traveler who wants to know more about Santa Croce, but doesn’t want to be herded around in a group tour. This self-guided tour will give you a good history of the area at your own pace. Florence Boat Tour - The Arno River and Ponte Vecchio are some of the most scenic sites in Italy, enjoy them from the water through this romantic boat tour on a Florentine Gondola. Take the C2 or C3 bus to get to the central part of Santa Croce, or the 14 or 23 bus to get to the edge of the neighborhood. A historic and unique area full of young people for more local experiences and a central location. One of the oldest neighborhoods in Florence, Sant’Ambrogio is a student-friendly area that offers a more local and authentic Florentine experience. Sant’Ambrogio used to where the Jewish community lived, one of the largest in Italy, and you can still see the remnants of that history in the neighborhood through the quality Jewish restaurants, Kosher food, and one of the oldest and largest synagogues in Italy. What was once a rough part of the city, is now full of young couples and students who take advantage of the good cafes, museums, and arguably the best local market in the city - Mercato di Sant’Ambrogio. This neighborhood is far enough removed from central Florence to get away from the busiest parts of the city, but still only a 10 minute walk from the main attractions. For a city that can be overwhelmingly touristy, this is the place to escape the crowds and feel like a local for a few days. Clean and friendly B&B that offers a welcoming stay a short distance away from major attractions. Perfect if you want to stay in a more local area that’s still central. 3-star historic hotel offering bright, spacious rooms, and stunning views from a rooftop terrace. Some rooms feature panoramic views of Brunelleschi’s dome. Modern hotel only a 10-minute walk from the Uffizi Gallery and Duomo. The hotel features light and welcoming decor, free coffee and tea, newly renovated rooms, and comfy beds. Sant’Ambrogio Market - Arguably the best local market in Florence and much less touristy than the Central Market in San Lorenzo. You’ll find vendors selling fresh fruits, vegetables, produce, pastries, and meat here. Mercato Delle Pulci - Small, daily flea market held in Piazza dei Ciompi. Browse through antiques, old books, and second-hand goods in the open air. Church of Saint Ambrose - One of the oldest structures in Florence, this Roman Catholic Church is allegedly where Saint Ambrose himself stayed in 393 while visiting the city. Tempio Maggiore of Florence - One of the largest and oldest synagogues in Italy, and one of the most beautiful in Europe. Appreciate the Moorish architecture and the teal central dome. Don’t miss the museum on the first floor. Piazza d’Azeglio - A great place to hang out and grab a drink on summer nights, this is the square where all the locals go. You’ll find the atmosphere buzzing with old and young people alike, as well as students. Caffè Enoteca - An ideal spot to grab authentic apertivos and quality Tuscan wine. Another place frequented by locals. Timed Entrance to David - Enjoy priority entry to one of Italy’s top attractions with a reserved entrance ticket to the Accademia Gallery in Florence. Jewish Florence Walking Tour - Learn more about the Jewish history in Florence through this 3-hour walking tour, including a visit to the historic Tempio Maggiore of Florence and Jewish Museum. 5-hr Market Tour and Cooking Class - Stroll Sant’Ambrogio Market, learn some great typical Tuscan recipes and taste the fruit of your hard work in the city center of Florence. 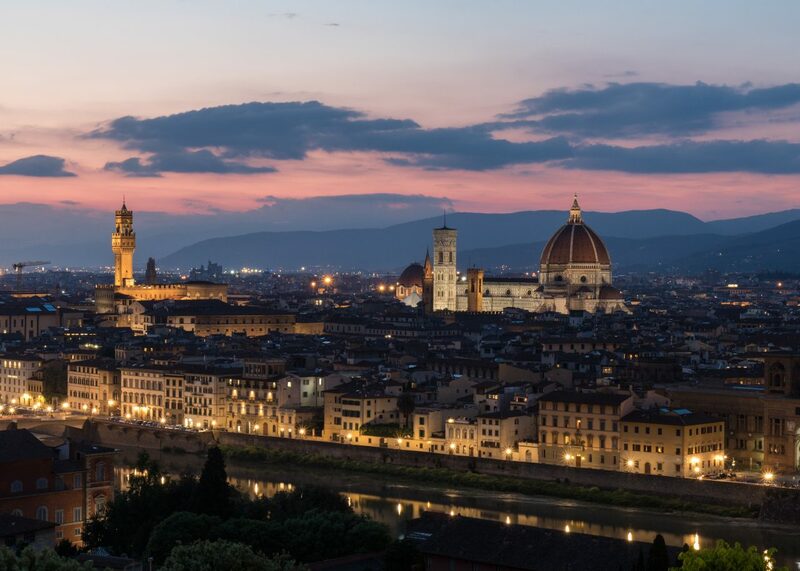 The Hip Nightlife Tour of Florence: Wine & Bites - Get to know one of the best areas for nightlife and aperitivos in Florence through a local’s perspective. Take the C2, C3, 6, 14, 19, 23, or 31 bus to get dropped off near Piazza Sant’Ambrogio or the Synagogue. An alternative neighborhood across the river for an artsy, relaxed, and bohemian atmosphere. Experience another side of Florence on the other side of the Arno River in the Oltarno neighborhood. This is where you’ll find a different pace to the city, streets full of artisanal shops, and a bohemian feel that can’t be replicated anywhere else in Florence. Considered to be one of Florence’s ‘coolest’ neighborhoods, Oltrarno offers a variety of hipster cafes, antique shops, and foodie restaurants, as well as its own array of underrated tourist attractions that might just be some of the best in the city. This area used to be where wealthy Florentines would come to escape the unhealthy air and dirty streets of the city center, and that feeling of relaxation and escaping from the crowds can still be felt around Otlrarno. And the best part about this neighborhood? It’s still relatively unknown to the majority of tourists who come to Florence, meaning you can still find the odd quiet square and easily immerse yourself in the local culture. 5-star property that feels like you are in the countryside. Walkable to all the main sights. Housed in 19th-century building, featuring a park, outdoor swimming pool, and wellness area with a Turkish bath. Housed in a 15th century building and located along the Arno River, offering bright rooms, hardwood floors, and a buffet breakfast. Features a panoramic rooftop terrace that’s open all year. Spacious and modern accommodation, featuring a garden and hearty breakfast. The perfect distance from the train station, but away from most of the crowds for a quieter, more local stay. Pitti Palace - Palace built in the 15th century, belonging to a political family of the Florentine aristocracy. Today it’s the largest museum complex in the city, housing the Palatine Gallery, Silver Museum, Museum of Modern Art, Costume Gallery, Porcelain Museum, and the Museum of Carriages. Boboli Gardens - Huge park that houses various sculptures, mostly from the 16th to the 18th centuries. A relaxing place to enjoy an open air museum and surround yourself with beautiful foliage, flowers, and oak trees that are centuries old. Piazza Santo Spirito - Local square founded in the 13th century, lined with bars and restaurants. Expect to find markets, galleries, and artisans during the day, and a lively atmosphere at night. Piazzele Michelangelo - One of the most popular viewpoints outside the city center. It’s a hike up a large hill to get there, but worth it for the stunning panoramic views over the city. San Miniato al Monte - Located next to Piazzele Michelangelo and said to be one of the most scenic churches in Italy. This Romanesque church was built between the 11th and 13th century, and features green and white marble in its design. San Salvatore al Monte - Simple but charming Renaissance style Franciscan church located near Piazzale Michelangelo, constructed in the 16th century. The Fierucolina - Colorful local market that takes over Santo Spirito square on the 3rd Sunday of every month with a mix of organic produce and food products. The Other Side of Florence Food Tour - The part of the city that’s on the other side of the Arno River has a completely different feel and history. Get to know it better through this 4-hour foodie and wine walking tour. Florence Vespa Tour - 3-hour tour that will take you around Florence’s most famous spotss. Reach the Piazzale Michelangelo and the San Miniato convent and the Florentine hills. 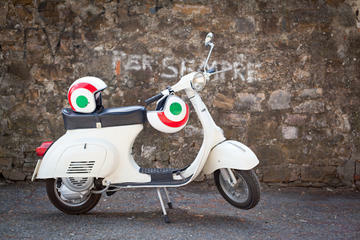 Florence Artisan Food Tour - The Oltrarno neighborhood is known for its rich artisanal history. This tour takes you to meet local artisans around the neighborhood, talks about that history, and allows you to try out a few local eateries. Florence Sunset Tour - Eat and drink your way around Oltrarno when it really comes alive at night. And Take in Florence’s hippest neighborhood through a sunset food tour. Eat and drink your way around Oltrarno when it really comes alive at night. Take the C3, D, or 11 bus to get to Pitti Palace or Santo Spirito, bus 11 to get to the Boboli Gardens, and the 12 or 13 bus to get to Piazzale Michelangelo. As you can see, Florence is a city that has inspired countless dreamers and artistic geniuses throughout the centuries, and continues to do so today. So, grab some quality shoes to tackle the cobblestones, and get ready to spend hours in museums and at dimly lit trattoria tables that serve up the best home cooked Italian meals. 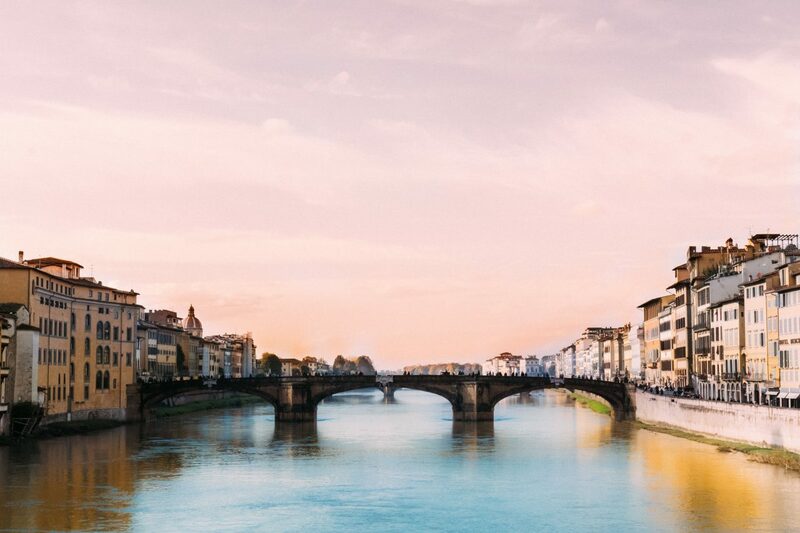 Once you discover the secret bakeries, taste the gelato, watch the sunset over the Ponte Vecchio, and get lost in the irresistible Tuscan romanticism that is so prevalent in Florentine culture, you may never want to leave. 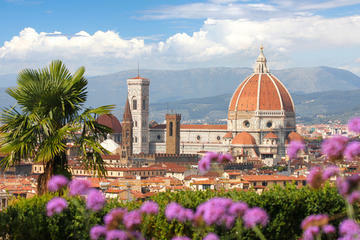 See Top 10 Most Beautiful Things to Do in Florence for more ideas of what to do around the city. Eagle Creek Plug Adapter - This all in one adapter is all you need for Florence and other European and world travels. International Data Roaming - Use KnowRoaming for unlimited data/cellular for $7.99 per day. Easy application sticks to your existing SIM Card. Save 50% using promoDDSave50. Get your Lonely Planet guide to Florence - We have always been fans of Lonely Planet an although most people use apps, it is still our go to guide to carry with us. Read: How to Pack for a European Vacation - We share tips to help you pack for your trip to Europe. Get your Eagle Creek Universal Plug Adapter - This adapter is all you need for your travels around the world. Belkin Mini Surge Protector - Perfect gadget to accompany your adapter. The surge protector has 3 outlets and 1 USB charger. You can charge all your electronics at once. 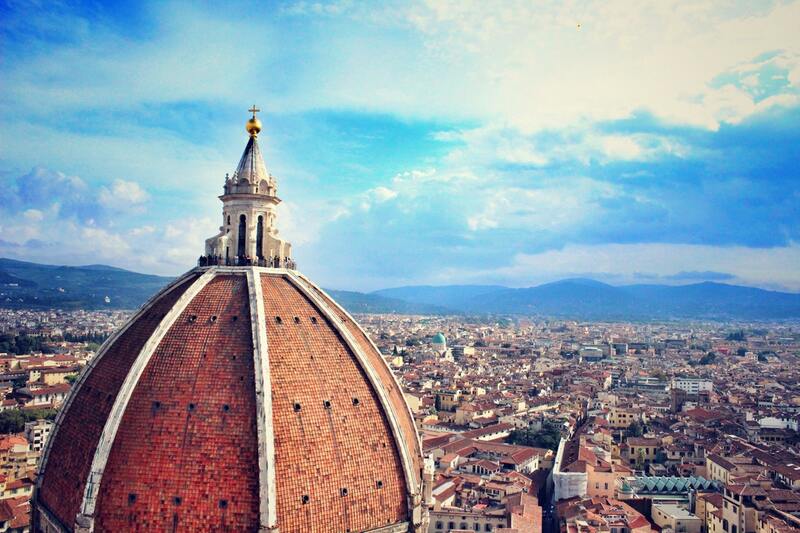 Enjoy this post on where to stay in Florence? Be sure to pin it for future reference. Mimi McFadden is a travel blogger and freelance writer. Originally from California, she has been slow traveling the world since 2013. When she's not writing, you can probably find her sipping on a pint of craft beer, chasing waterfalls, or planning her next crazy adventure in a foreign land. After living abroad for five years in Australia, New Zealand, Thailand, Greece, and Portugal she has finally found a home in San Francisco, California. 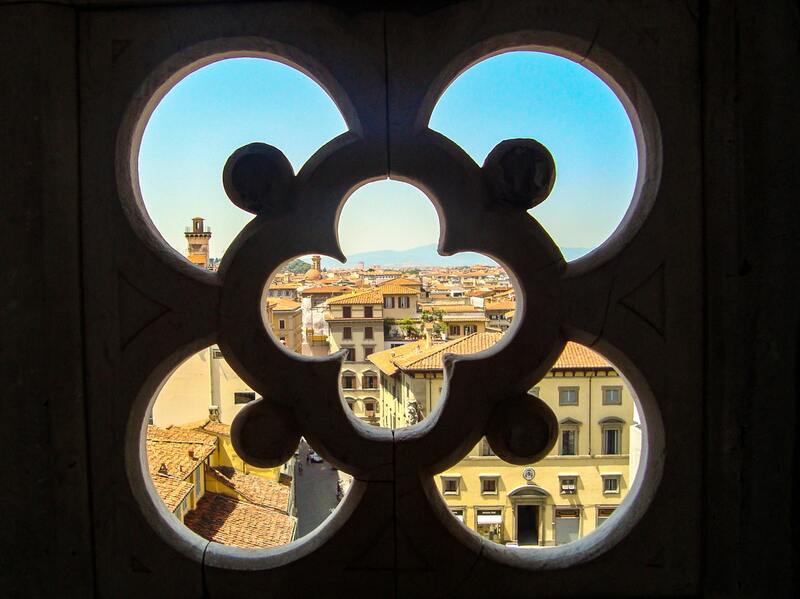 5 Responses to "Where to Stay in Florence – Insider Tips to the Best Areas"
Oh…wow… Florence is just spectacular. I already bought my ticket. Gonna head there in a few months. Apprecitable blog. Such a nice information about florence city. thank you for sharing your experience in florence. A city where the beauty inhabited with the world-class fragrance. You have stated about it very nicely and you are doing a great work for rest of the travellers. Thanks a lot for that. I hear that the bread, wine, and olive oil are unmatched there.